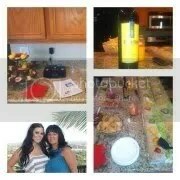 Once we help our clients get into the home of their dreams Mom and I throw a fab party for them. This allows them to meet and mingle with their neighbors. It’s a great way to welcome them into the neighborhood and show off their new home. This particular party was great because our clients Raymond and Nora moved into a very friendly community. We enjoyed working with Ray and Nora and look forward to a long lasting friendship for years and years to come.